UK Retreat is a hotel that provides the guests with a comfortable stay at a pocket-friendly price. 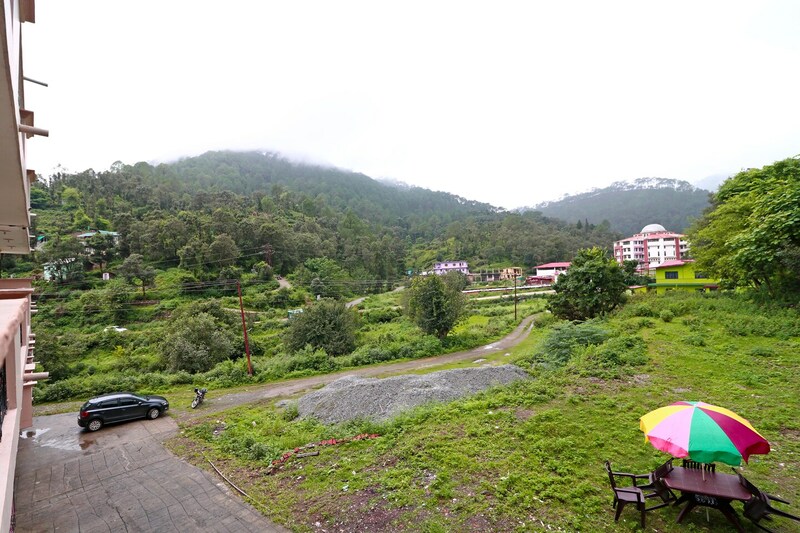 The rooms have an attached balcony which overlooks the beautiful scenic view of the forests and the hills. These rooms are elegant with sober walls, lovely upholstery on the beds, and dark cushions. They are well-equipped with amenities that are convenient for guests and are super clean and spacious. The bathrooms are also tiled and are well-equipped with modern amenities. The hotel provides other facilities such as parking space and power backup. The in-house restaurant serves sumptuous delicacies to the residents adding to their comfort.